The Tech Works NC-VP-PBS is a call for HELP Station with a 1⁄4 inch call cord jack and a Vandal Resistant Push button with concentric Call Assurance Light built in to the button and mounted on a rugged stainless-steel plate. The call cord jack is provided for activating the Normal or Bed Call directly at the station. Call cancel is a Lighted Button to reset the station. 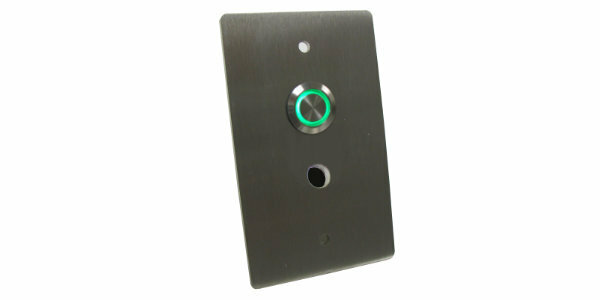 The reset can be a either local or a remote key switch or a remote lighted push button. This is a passive button and light assembly designed for use with active stations like the NC-DL-12-R Dome Light. Screw T erminals provide wiring connection to the active electronic stations that provide signaling and control for the NC-VP-PBS. Mounting is a standard 1-gang electrical box. The Face Plate is made of 12-gauge Stainless Steel with a brushed finished and includes tamper resistant mounting screws. PBC-7: Push Button Cord 7 ft.